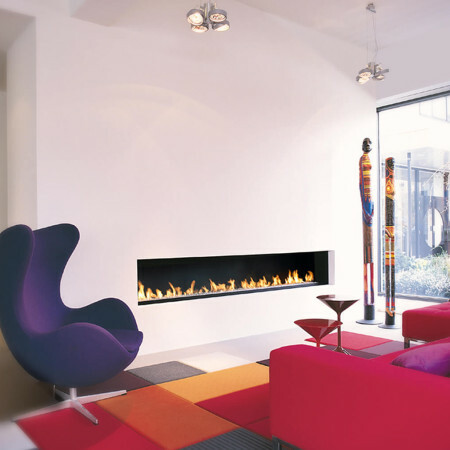 A stunning, contemporary fireplace with a full length dancing flame burner. 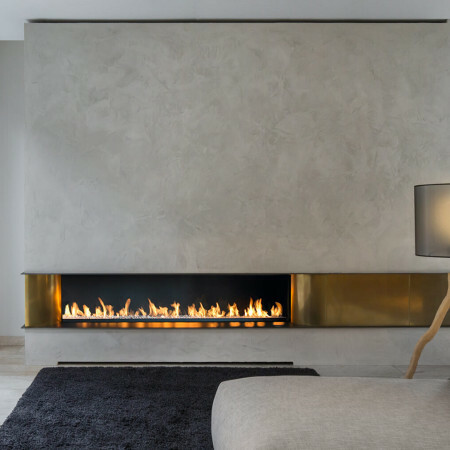 Shown here as a 2m wide unit, the flame length itself is an amazing 1800mm long which means it makes wonderful feature fireplace and year round design statement. 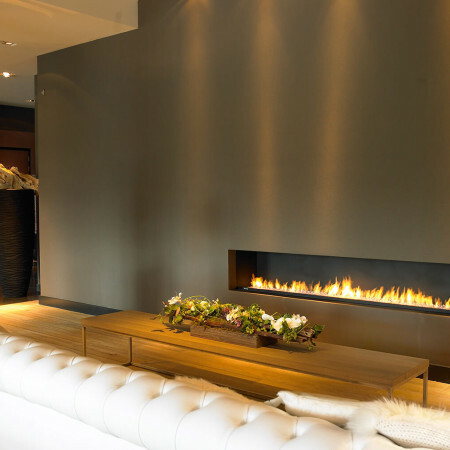 A contemporary fireplace like this can be installed in all kinds of situations including where there is no existing fireplace. To add to the luxury of this design, the false chimney breast (fireplace enclosure) has been clad with real leather that makes for a very unusual finish. 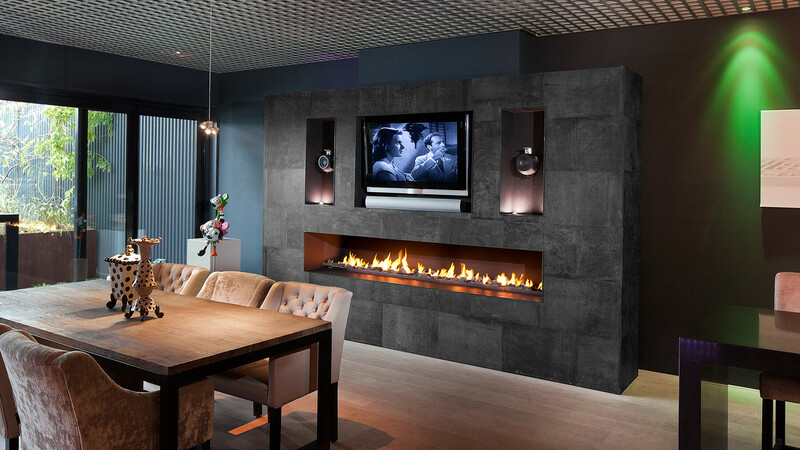 With careful planning a TV can be installed above the fire opening as shown and this is a great way to create a top of the range media wall. With even wider units available, speak to a Design Consultant to see which model can be best incorporated into your project.